I had a design in my head for some time after seeing nice fire pits go for big bucks. 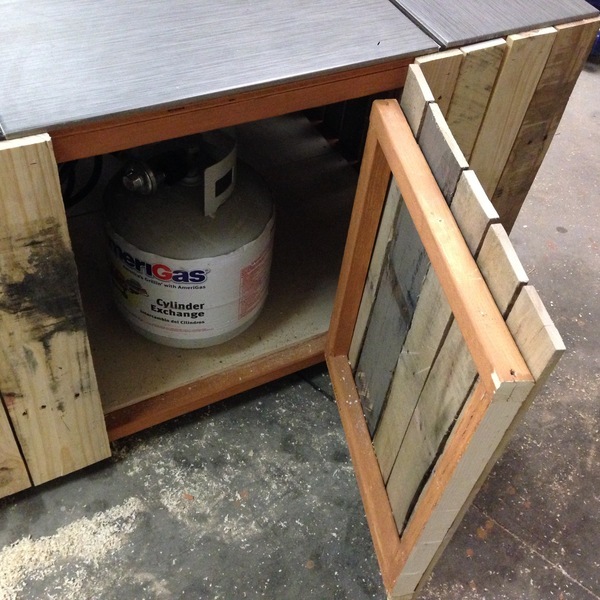 Using an existing propane insert, wood pallets, tile, 2 x 4s, and ply wood; I decided to make my own. This looks awesome! 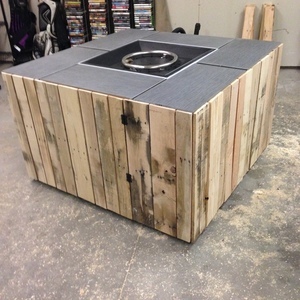 Do you have detailed build plans you can share? would like to build this would you want to share your plans on this? How can I get plans for this please! I love it! Hey! My maiden name is Hehr! Are you one of my cousins?